1 baby, 2 life reorganisations, 3 weddings, 9+ overseas trips, 12 brooches, and 24 new friends; Broach of the Month Club 2009. This entry was posted in Broach of the Month Club on October 6, 2009 by kristindagostino. 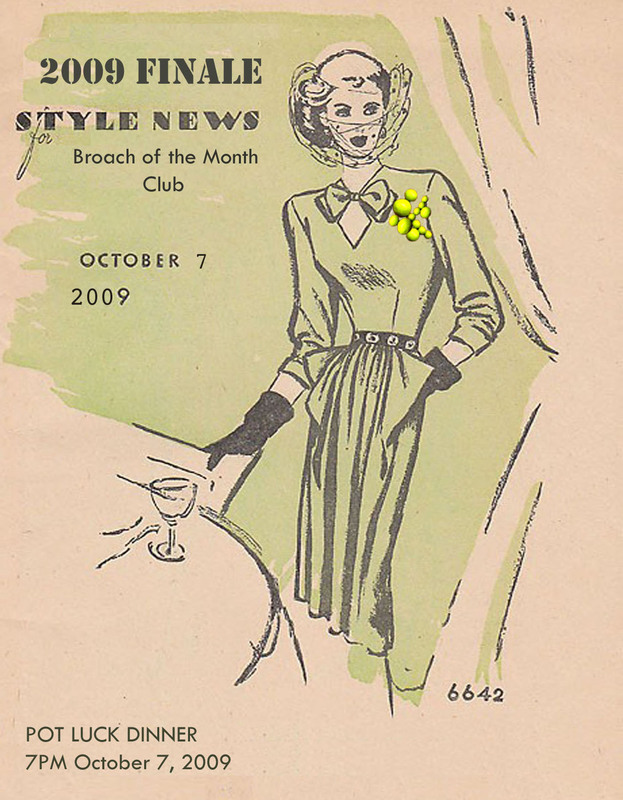 Gosh – the elegant woman in the poster (similar to most of us membrs of the Broach Club) is wearing a gorgeous brooch!